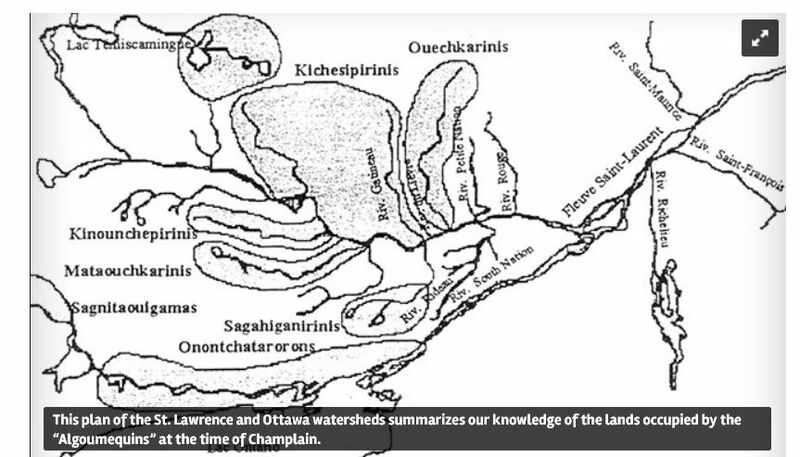 An Outaouais website designed for use by high school teachers and students provides compelling images of Chaudière waterfall and a map that shows the extent of traditional Algonquin occupation of lands along the Kitchi Sibi (Great River) in the 1600s. The website segment called Asticou, the Roaring Godhead, refers to the spiritual significance of the Chaudière Falls to the Algonquin. The text also features an audio clip from Samuel de Champlain’s journal. He was likely the first European to hear the roar of the falls and see its mists rising to the sky.